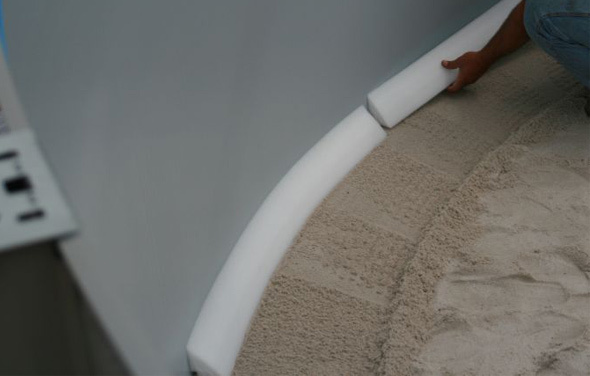 Foam Pool Cove keeps its shape and is quick and easy to install since it is lightweight and easy to handle. The peel and place Foam Pool Cove is made of chemically neutral foam which helps fight corrosion and prevents excessive stretching and premature wearing to your liner, adding years to the life of your new pool liner. 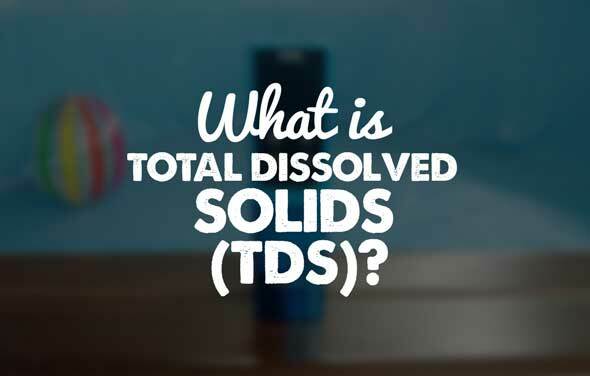 It will also help eliminate sand (or other base material) from washing away and helps keep the vinyl pool liner in place. 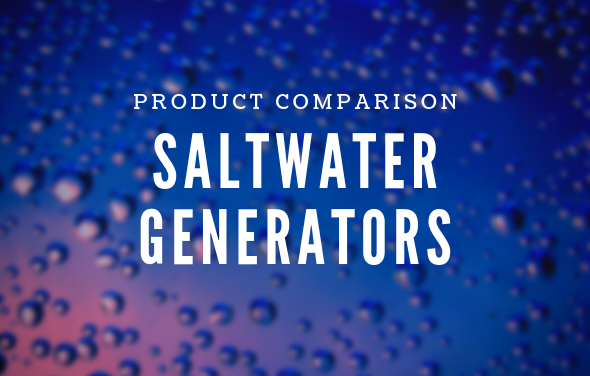 A small investment that will add years to the life of your pool liner! In swimming pools a cove is a slight angle of material against the pool wall (usually sand, sifted fill, or foam) that is a vital part of your pool system as it keeps the weight of the water inside the pool and prevents the liner from ballooning out under the bottom of the pool wall. Regardless of the material that is used for the coving all above ground pools should have a sand base as the foundation underneath the vinyl liner, inside of the pool of about 2”-4” in height. For detailed information on how to properly install a base for your above ground pool liner please use the button below. Foam Pool Cove is easier to install than other cove materials, just peel the adhesive backing and lay the cove inside the circumference of your pool wall. The Cove adheres to the pool wall. Since the Pool Cove is resting on the 2”-4” sand base, the top of the Cove will be about 6”-7” up the pool wall measuring from the bottom of the pool rail. Foam Pool Cove will make your pool liner installation much easier. 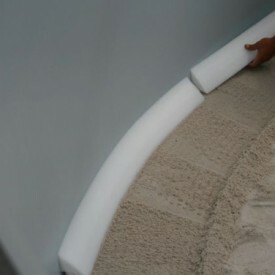 It provides support for the pool liner and also acts as a barrier to keep the pool liner against the base of the pool. It will not wash away or deteriorate over time. 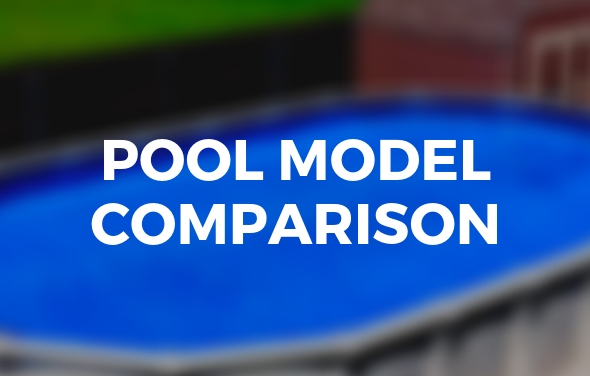 Although it will slightly raise the cost of the initial pool purchase, Foam Pool Cove can provide not only peace of mind as it protects the liner but will also allow for a much smoother installation process. Foam Pool Cove is an economical alternative to sand and other coves and is the best solution for above ground pool owners that are new to pool installations. 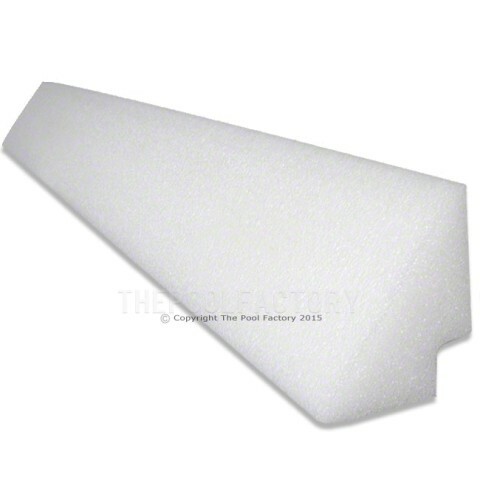 Foam Pool Cove is available for all sizes and types of above ground pools at www.thepoolfactory.com or directly by using the button below. Pool Cove is foam that easily peels and sticks to the inside base of the pool wall. 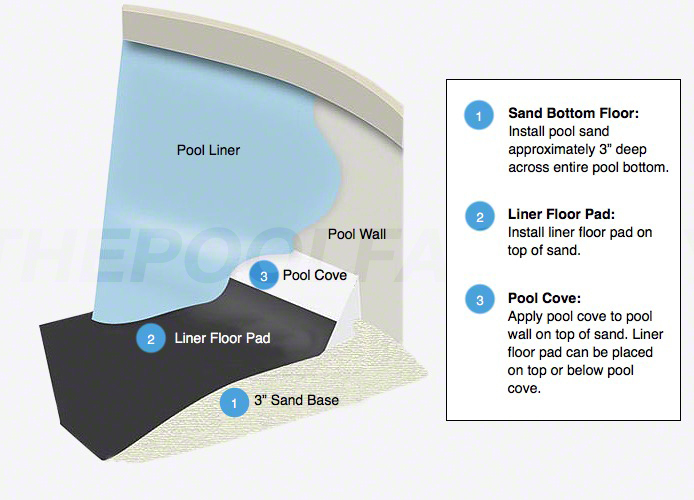 The foam pool cove is 3-3/4 inches high and must be installed on top of 3 inches of sand. 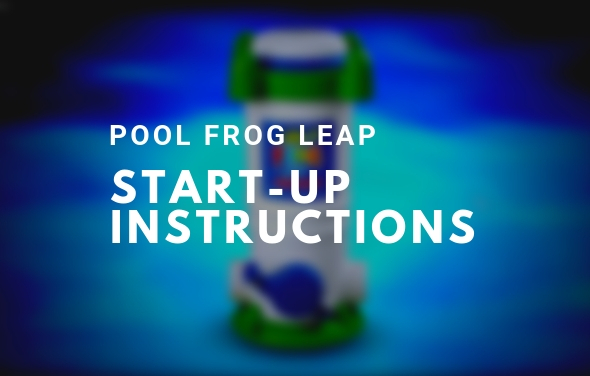 This will give you a total height of about 7 inches, the recommended height to support the liner and eliminate stress at the seam of the pool liner. Yes, all above ground pools need to have a cove. A cove in an above ground pool is designed to take the stress off of the vinyl liner seam (where the vinyl wall panel is heat sealed to the bottom vinyl floor panel). This can be done with Foam Pool Cove or a basic Sand Cove using fine mason sand. Foam cove is 3 3/4″ high. 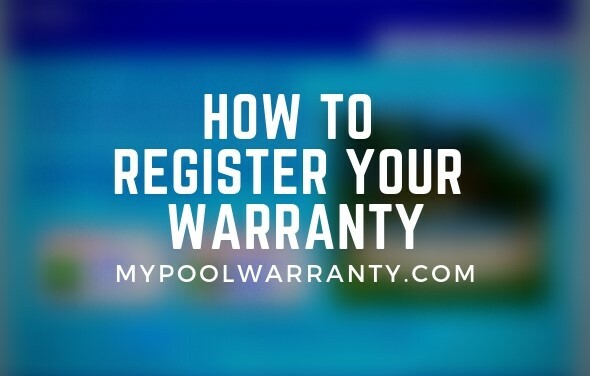 It should be placed on approximately 3 inches of sand(wall to wall, inside of the pool) to give you at total height of about 7″ which is the recommended height to support the pool liner and take the stress off of the liner seam. 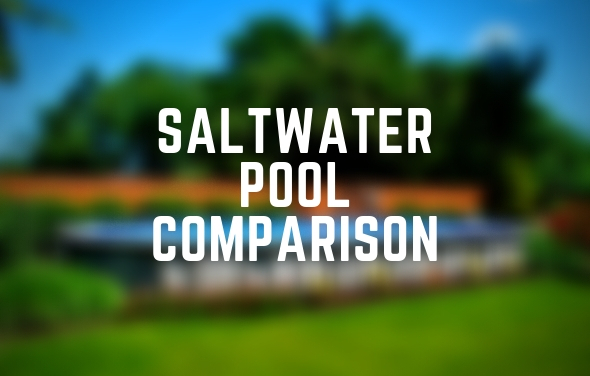 This is a very helpful article that shows different ways to install a correct base for an above ground pool liner: How to Install a Base For Your Above Ground Pool Liner.